From September 1, 2018 through June 2019, the property will be closed due to renovations. Please contact the hotel for further information. Situated on the renowned Getreidegasse road, the hotel introduces guests to the city&apos;s captivating character. Across from the Festival Hall and down the street from Mozart&apos;s house, we are just a short walk from designer boutiques and the Salzach River. 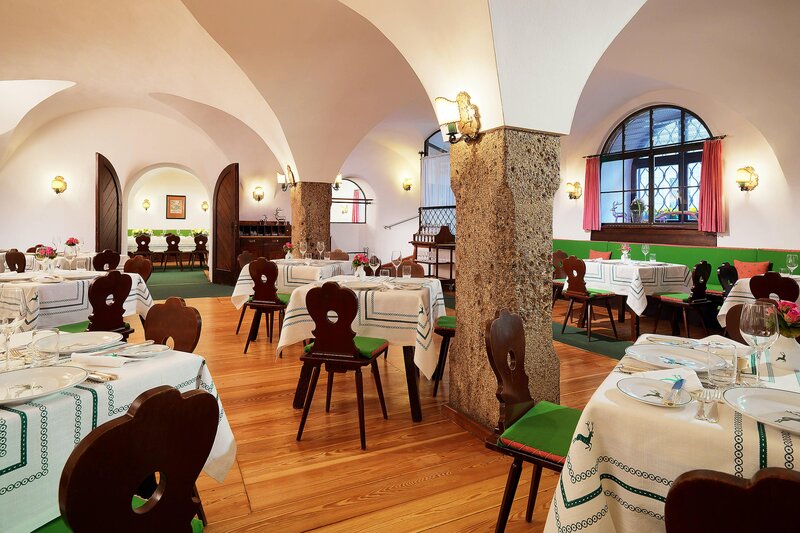 Our two authentic Austrian restaurants and renowned bar are Salzburg&apos;s top pre and post-theater haunts, paying homage to the city&apos;s rich bohemian heritage. 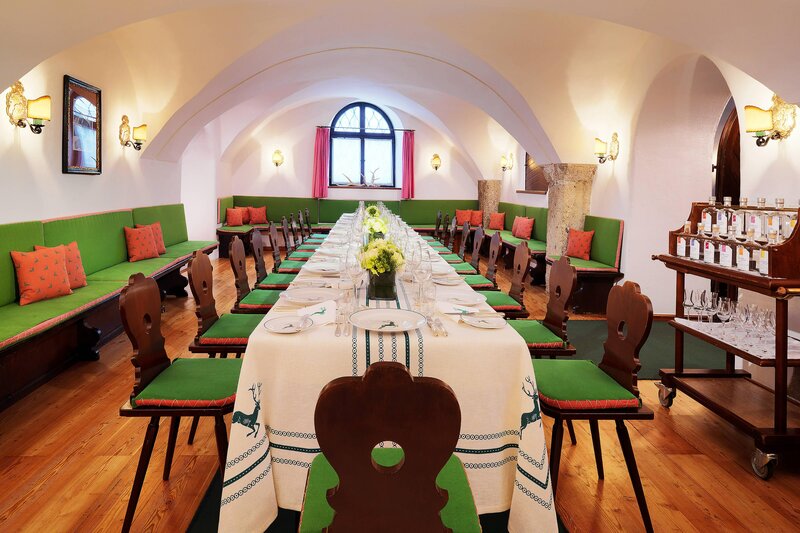 Distinguished event spaces make the Hotel Goldener Hirsch ideal for meetings and weddings .Our 70 guest rooms and suites boast authentic Salzburg-style décor handpicked by Countess Harriet Walderdorff. The original antiques, handmade furniture and native rag rugs are opulent and discreet, and honor 600 years of hotel history. 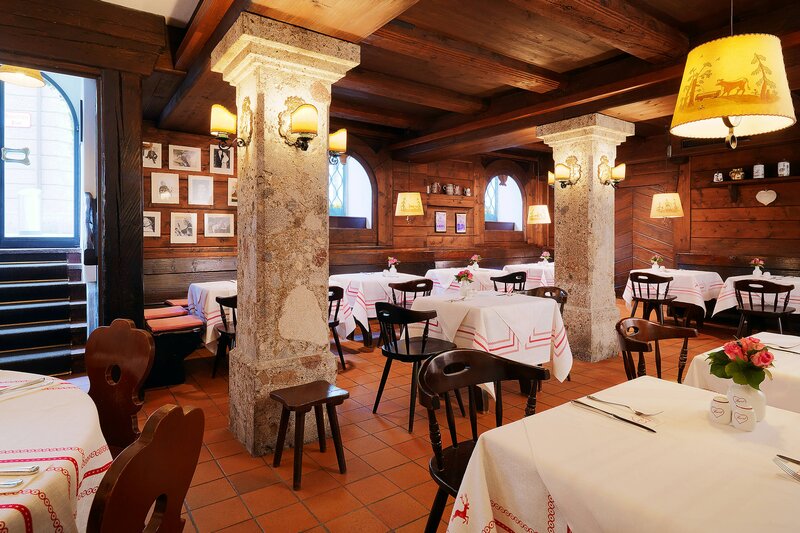 The Goldener Hirsch offers its guests two restaurants and a bar which are perfect for private parties and exclusive dinners. Originally an inner courtyard where horses would await their owners&apos; return, the space is now considered one of the world&apos;s most beautifully outfitted "Bauernstil" rooms, and is a favorite of distinguished, international travelers. The Goldener Hirsch with its 70 rooms and suites embodies all the romantic charm of an authentic guest house from the 15th Century in the sophisticated ambience of a 5-star hotel. 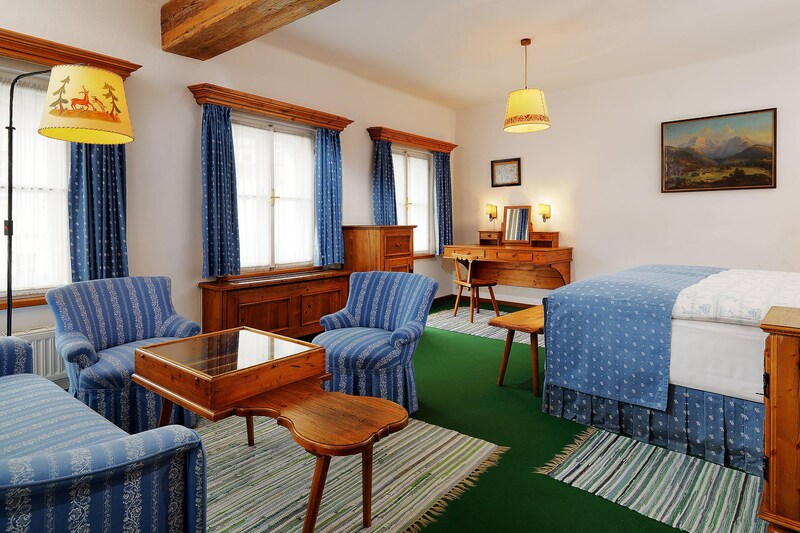 Our hotel boasts impressive comfort with antique pieces and original handmade furniture reminiscent of over 600 years of history in the heart of the historic town of Salzburg. The Luxury Collection Hotel Goldener Hirsch presents an oasis of tranquility in the heart of an UNESCO World Heritage site. 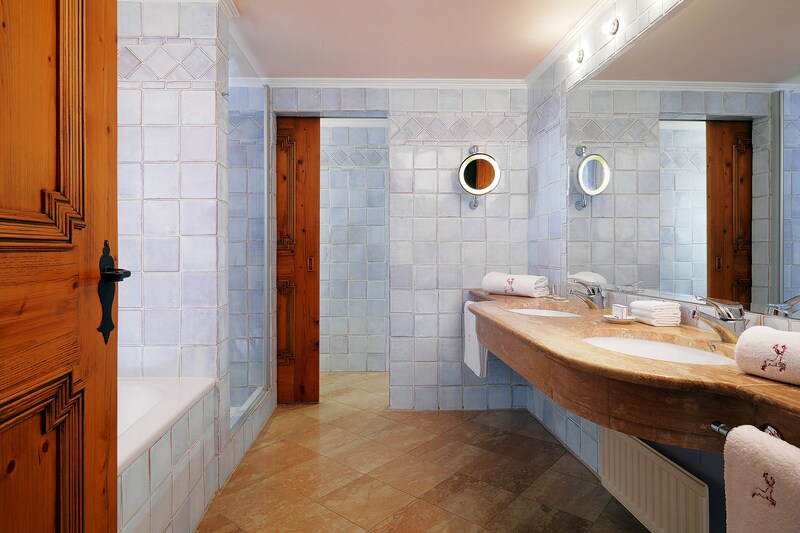 Featuring Austrian flair and comfort, our hotel is situated in the baroque center of Salzburg. Our rooms and suites boast authentic Salzburg-style décor handpicked by Countess Harriet Walderdorff. The original antiques, handmade furniture, and native rag rugs are opulent and discreet, and honor 600 years of hotel history. 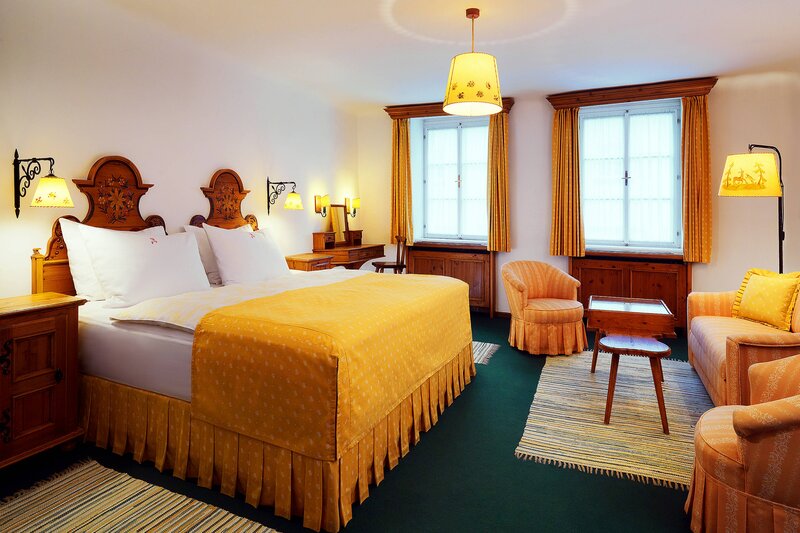 A touch of tradition and history hovers over the guest rooms of the Hotel Goldener Hirsch.